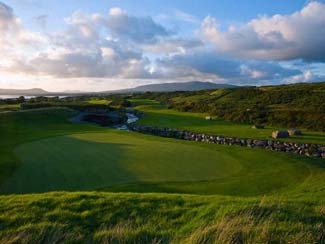 Although a relative newcomer to the Irish golfing scene (opening in Spring 2006), the links at Skellig Bay Golf Club has quickly made a lasting impression already making it into the "Top 50" in Ireland list. 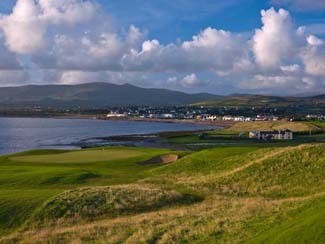 The Ron Kirby designed links course is played over 6,553 metres amidst scenery that can only be described as stunning. 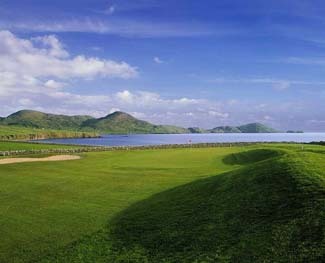 Skellig Bay Golf Club is situated overlooking the magistic Ballinskelligs Bay and set among natural magalithic stonework and indigenous bog. 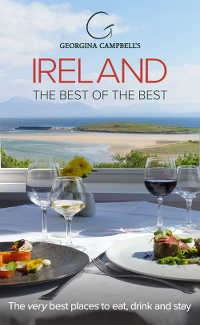 Nestling in the shadows of the towering McGillicuddy Reeks, the golfer has to negotiate the river Fionnglass for the opening and closing holes but it is the stretch from six to sixteen that lives in memory long after the last putt has been sunk. Here the awesome beauty of the Bay hits you full in the face as you play through holes framed by over 8000 yards of ancient “famine” walls. Original standing stones from pre-christian times and a fairy fort all add to an unforgettable round as you experience an unbelievable feeling of another time and place. 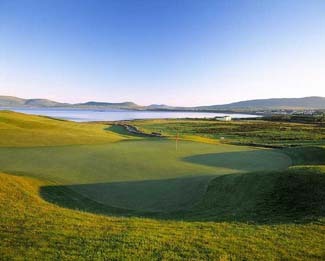 “Skellig Bay is full of challenging golf holes” says Sunday Independent Golf Correspondent Dermot Gilleece. 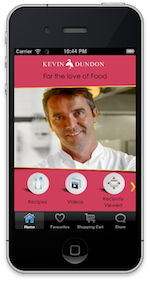 “...and is built in the traditional design that advocates visibilty, fairness and enjoyment”.